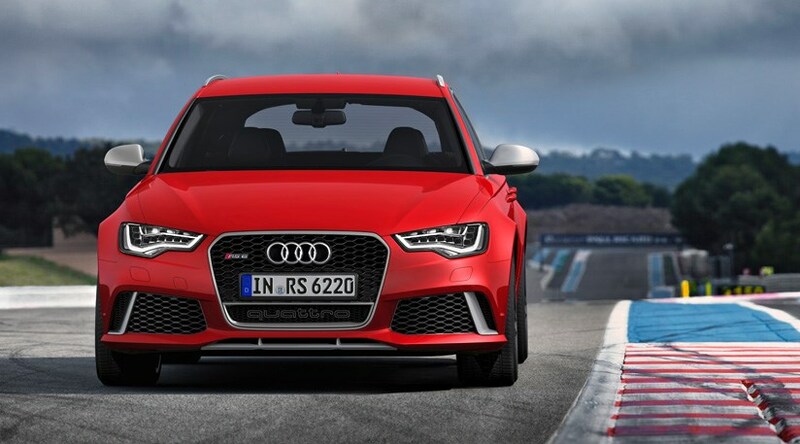 Why does Audi want to give the RS6 Avant even more power? You'd have thought 552bhp would be enough, but Reil is plotting a whole range of tweaked and tuned RS Plus models for those who always want more. The inaugural 'Plus' – way back in 2004 – was a run-out version of the first-generation RS6 Avant, which had an extra 30bhp (for a 480bhp total) along with uprated brakes, a 10mm ride height drop, firmer damping and bespoke exterior and interior trim options. Just 999 were built, and only 100 came to the UK. The second-generation V10-engined RS6 didn't get a power jump for its run-out Plus model. Why? Because Audi knew its V8 successor wouldn't (initially) top the V10's 572bhp, so instead focused on adding optional equipment. The only performance tweak Quattro undertook was to raise the speed limiter from 155mph to 190mph. And the third-gen Audi RS6 Avant? Reil revealed that the new twin-turbo 4.0-litre V8 will remain pegged to 552bhp, but only for this year. And how much power will it have after that? 'It needs to be 8-10% to really notice it,' revealed Reil. Reckon on at least 600bhp, then. The RS6 Plus won't be built in limited numbers either, or be a run-out special. Both the TT RS Plus (with power raised from 335 to 355bhp) and new R8 V10 Plus (518 to 543bhp) are now full production models, and just as the RS variant of the A6 has been introduced within two years of the car's launch, so Plus variants will follow more quickly too. Will future RS Plus models just get a healthy power boost? No, as weight-saving is on the agenda too. 'A Plus model could have more power, or less weight, and a Plus model should always handle differently to the standard car,' Reil told CAR. That's why the R8 V10 Plus is 50kg lighter than the standard R8 V10, and why it has a unique suspension set-up too. The R8 V10 Plus's weight savings come from carbonfibre bucket seats and carbon bodywork, but carbon won't always be the solution. The RS3 Sportback's carbon front wings saved 2kg versus a regular metal pressing, but Audi only expected to build 2000 units of its 335bhp hatchback. However, it's built nearer 6000, and admits aluminium would have been a better solution for such a production run. Future weight savings won't just come from courtesy of Quattro either. Audi CEO Wolfgang Durheimer has confirmed carbon technology will be used in chassis construction in future Audis, which should see everything from the next-gen R8 to even the 2014 Q7 SUV shed the pounds in the relentless push for improved efficiency and higher performance. Will there be an Audi RS5 Plus? Weight savings and chassis changes could still produce an RS5 Plus but it's not a model likely to see production as the majority of customers always want more power. However, despite turbochargers taking over, Reil told CAR he loves the 4.2-litre V8 in the RS4 and RS5 and will fight for its future. Good news, we think.